Smart Logo Showcase Lite is a Free WordPress logo showcase plugin loaded with 5 beautiful pre-designed templates. With this fully responsive logo showcase builder, you can display logo images, however, you like and wherever you like with maximum level of customization. You can use different layouts available and showcase your client/ sponsor/ partner/ brand logo in a visually appealing way. Smart logo showcase lite comes with an intuitive interface – now anybody can showcase their brand/client logos in a stunning way without touching a single line of code. Besides, it is a shortcode ready plugin – it automatically generates shortcodes. Just copy and paste the code on any page or post where you want to showcase logo and you the elegant logo showcase! The best free WordPress logo showcase plugin for WordPress website. – Build your logo showcase with our 5 pre-designed beautiful responsive templates. Choose a template and edit to customize your logo showcase, down to every last detail. – 3 pre-designed beautiful, responsive grid template ready to use. Create a grid logo images with a link. Full controls of columns in desktop, mobile or tablet. – Create carousel slider for your logo images. 2 pre-designed carousel slider template. You can set how many slides to show, the transition speed, pager, autoplay, controls and many other settings. -Show/hide your logo title with tooltips.Two different templates with 4 different position. Set animation and duration for showing tooltips in the frontend. – 3 hover effects layout to choose from. – Show your links and title with overlay effects. 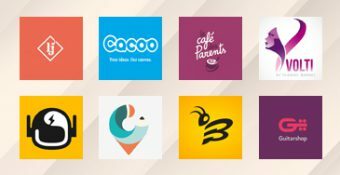 Hey Buddy!, I found this information for you: "Responsive Clients Logo Gallery Plugin for WordPress – Smart Logo Showcase Lite". Here is the website link: https://access-keys.com/wordpress-plugins/smart-logo-showcase-lite/. Thank you.